Stone mastic asphalt, or SMA, was developed in Germany in the 1960’s to provide a more hard wearing surface layer for roads, highways, highly trafficked car parks and other commercial areas. 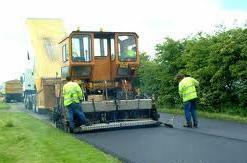 Stone mastic asphalt consists of a high content of coarse aggregate (70% – 80%) which interlocks, and is filled with a mastic mixture containing bitumen (6% – 7%), filler (10%) and fibres (less than 1%). 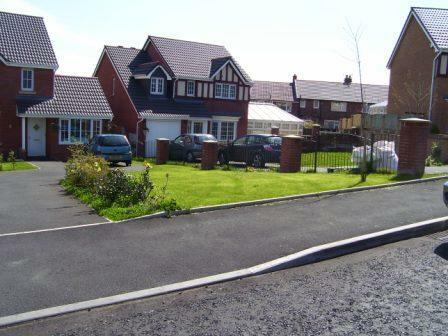 The high content of aggregate creates a greater stone on stone contact than bitmac to provide a more stable and durable finished surface than tarmacadam, which resists deformation. SMA provides a more textured and durable wearing course than bitmac making it more resistant to ruts. The surface texture characteristics of SMA means that the noise generated by traffic is lower. SMA can be manufactured and installed with the same plant and equipment required for normal bitmac. The mastic mixture in SMA surfacing makes it more flexible and hence less likely to crack when compacted on unreliable sub-bases. The higher binder and filler contents, together with the fibre additive results in higher material costs. The mixing time for SMA is greater than that for bitmac which, together with the time taken to add extra filler, will result in reduced productivity and increased cost. Lower friction levels result in initial skid resistance being low until the top binder film is worn off by traffic.